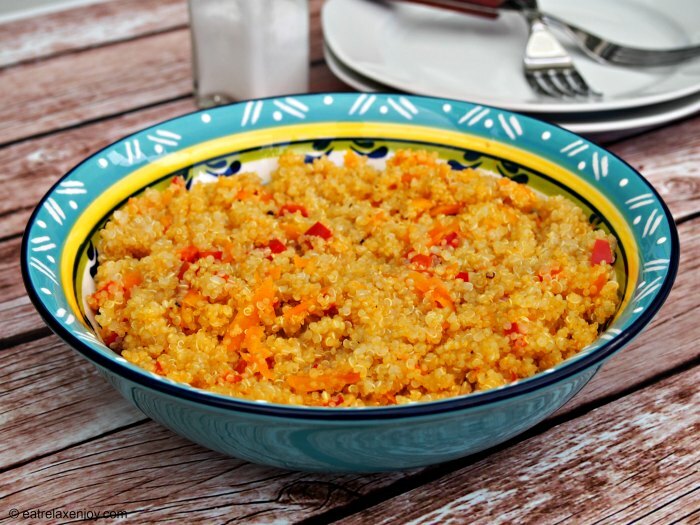 Quinoa with Carrots and Red Peppers is an easy healthy side dish. 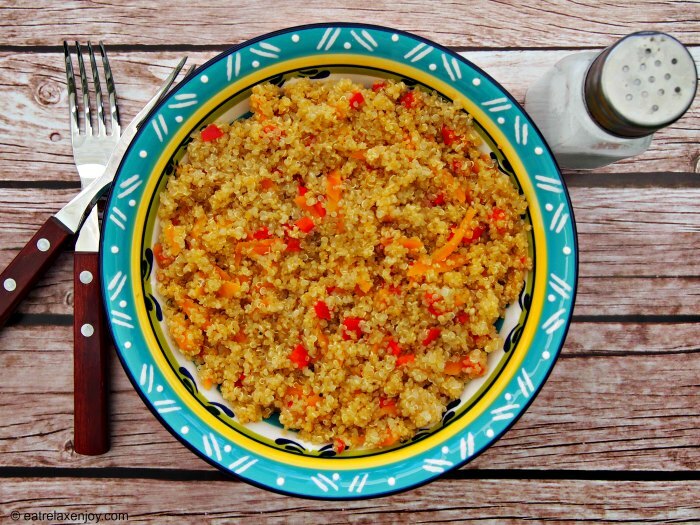 Quinoa is one of the healthiest grain (although it isn’t even defined as a grain). 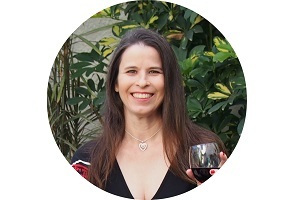 It has high protein and minerals value and low in calories and no gluten. It took me a little while to get used to the distinguish flavor of Quinoa and I know many dislike it because of it. 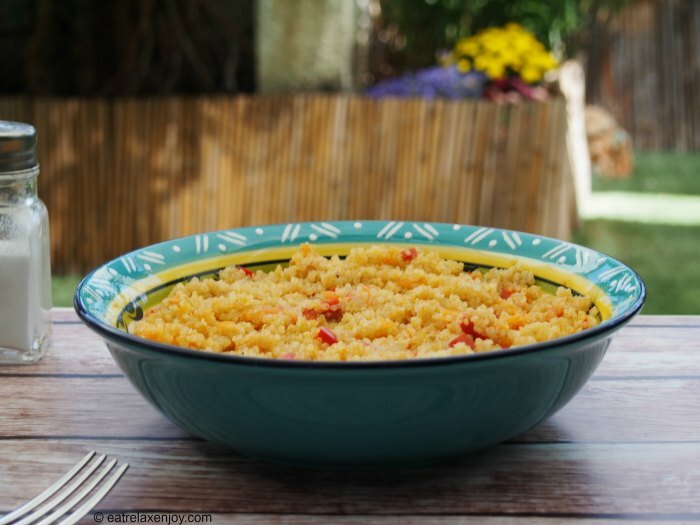 This recipe is especially tasty and disguises some of the original quinoa flavor and is very popular among my friends and family. 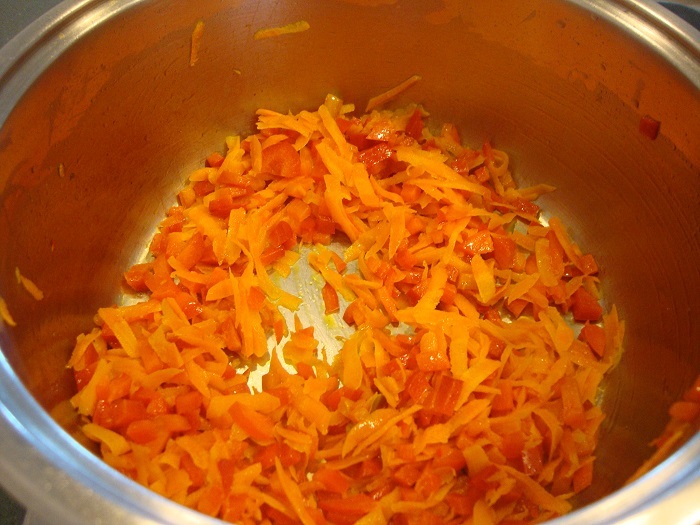 Fry the carrot and pepper with the bay leaf with a little bit of oil until soften a little and ‘color’ the bottom of the pan in yellow-orange color. Add the quinoa and steer-fry for about two minutes. 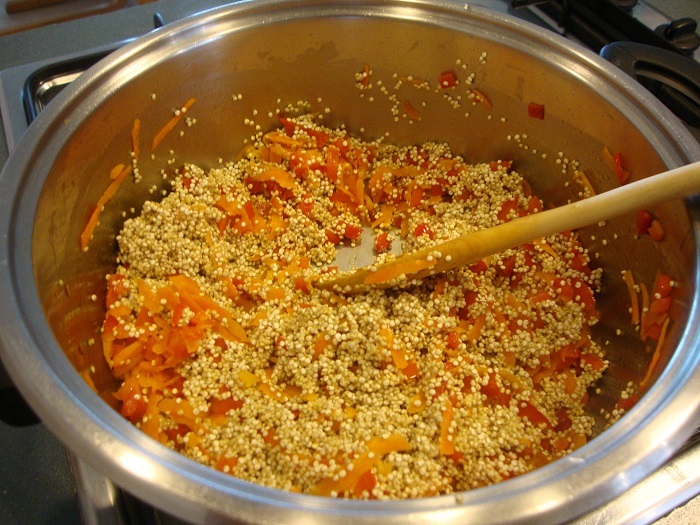 This will take out some of the flavor of the quinoa and let it absorb the tastes of the vegetables. 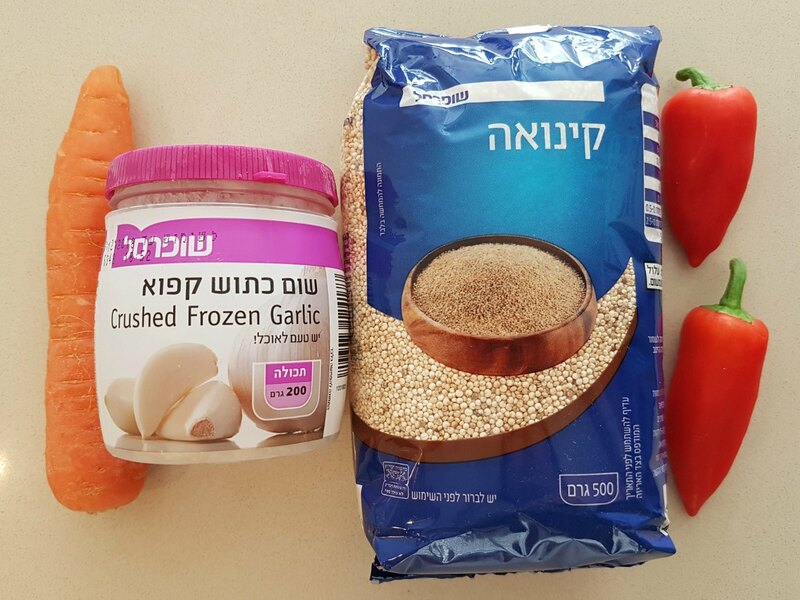 It is critical not to burn the vegetables as this would make it bitter. Add boiled water and seasoning. 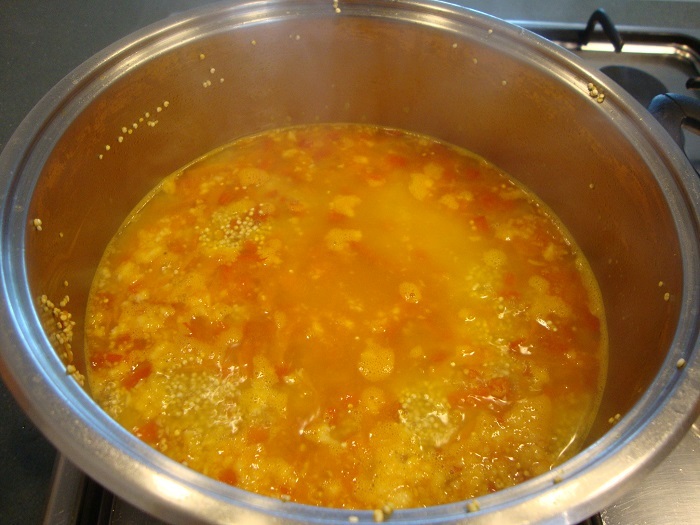 Cook on low until the water is absorbed (10-15 minutes).